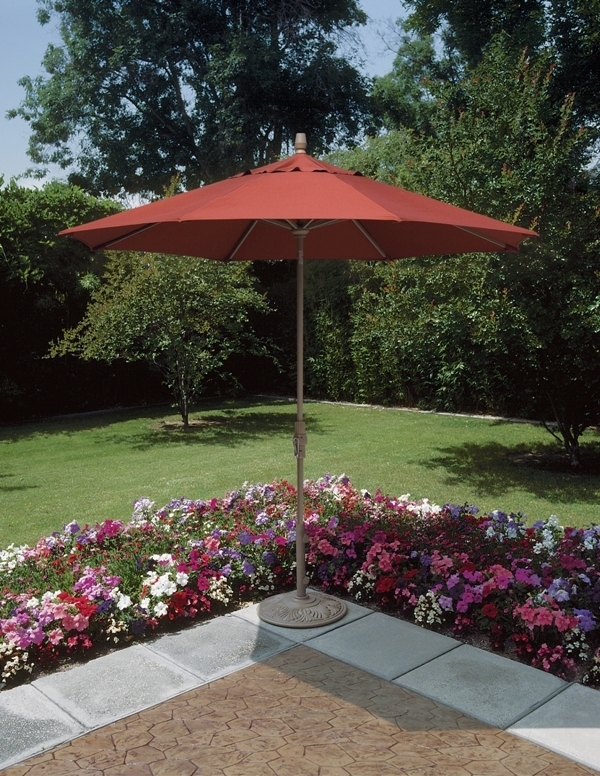 The 11′ Twist Tilt Octagon umbrella offers 95 square feet of shade, double wind vent (DWV) and twist knob to tilt and crank to open/close. This twist and tilt system is one of the best simply twist the collar and the double wind vent is perfect for those windy outdoor areas; the DWV allows more wind to pass through the vents, providing stability without design compromise. It stands 108″ in height and has a 20.9″ round cast aluminum base which weights 50 LBS. You can add an additional 30lb weight to base. Five finish options for the pole and base which features an attractive, tough, long-lasting, durable, powder coat finish. Choose from dozens of quality fabrics.